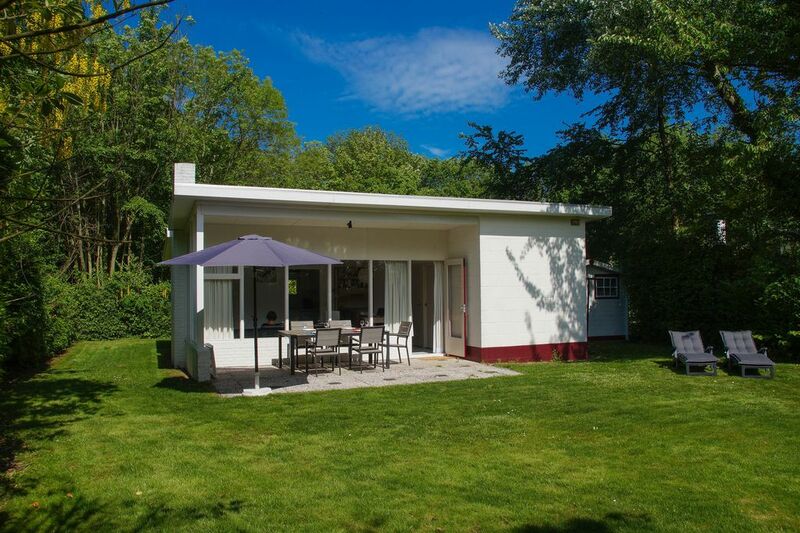 The Leeuwerikenlaan 4 is a freestanding 5-person bungalow in the park "De Banjaard" directly behind the dunes of the North Sea. The house is surrounded by greenery on a large property and has a garden with lots of privacy. The living room has a comfortable sitting and dining area, flat screen TV and the door leads to the terrace with comfortable garden furniture on the south side of the house. There are three bedrooms. The first bedroom is equipped with a double bed, the second with 2 single beds and the third with a single bed. There is a dishwasher and a washing machine in the kitchen. In the hallway there is a bathroom with shower, washstand and toilet. The house has two own parking spaces. Pets are allowed. The garden with lots of privacy is ideal for your faithful four-legged friend. Property: 850 m2. Living space: approx. 65 m2.